Robert Christoph is the Founder and Chairman of the Miami Beach based RCI Group and its related companies. He has a Bachelor of Science degree from Purdue University and a Masters of Business Administration degree from the University of Chicago. 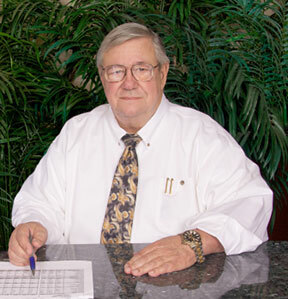 Since 1969, Mr. Christoph has been actively engaged in the development, ownership and operations of multi-family residential and commercial properties in Illinois, Wisconsin, Michigan, Ohio, Indiana, Tennessee, Missouri, South Carolina and Florida; and in the development, ownership and operations of marina properties in Michigan, Indiana, Florida, Massachusetts and Connecticut. His real estate activities and marina developments have raised hundreds of millions of dollars through debt and equity sources. A native Chicagoan, Mr. Christoph is an active civic leader in the greater Miami area. He is a member of the Board of Directors of the First National Bank of South Miami and is an active co-sponsor and host to many nationally recognized yachting and fishing events such as OpSail 2000 (Miami Leg), the Southern Ocean Racing Conference, Miami Dolphins Fishing charity event and the Miami Billfish Tournament to name a few.